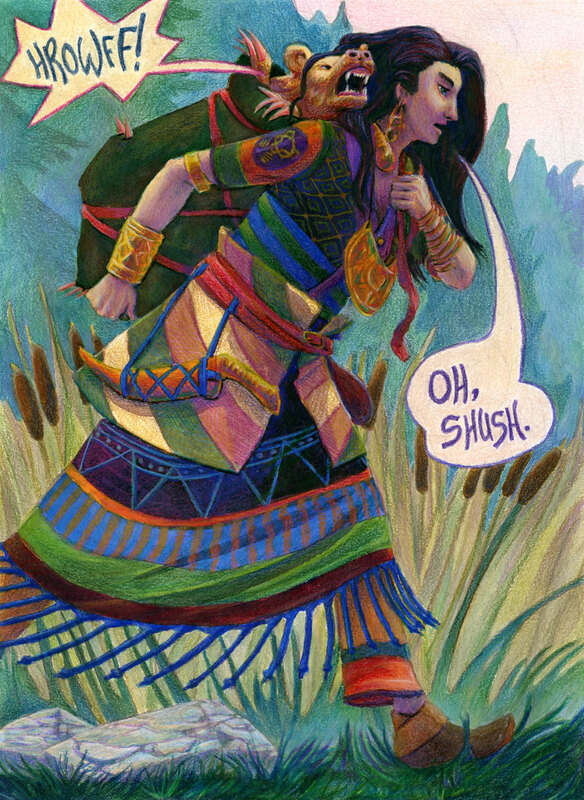 This fantasy illustration was created in watercolour and pencil crayon, and is 9 x 12″ on watercolour paper. It features a determined traveller carrying a cranky golden bear in a bag. The sun is just starting to rise and the mist clearing from the ground as they walk onward. We can see a golden bear insignia on the traveller’s sleeve.